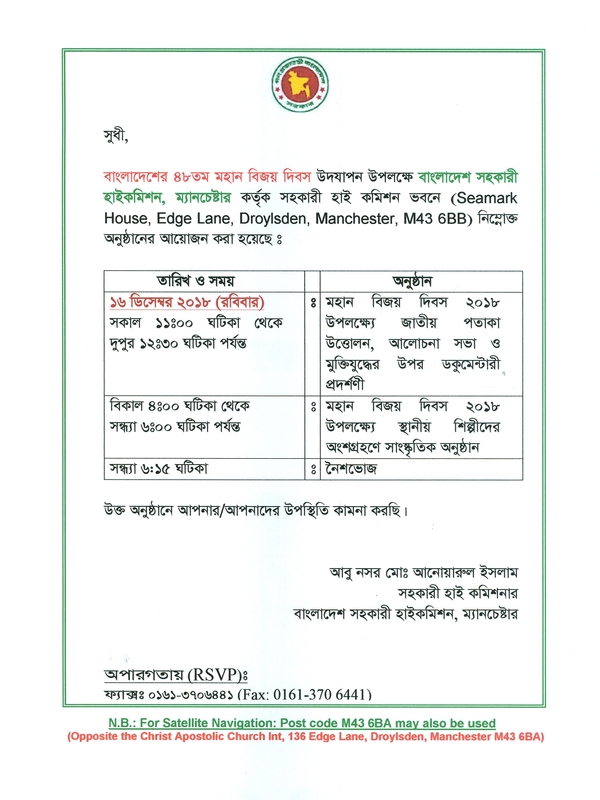 The Assistant High Commission of the People’s Republic of Bangladesh, Manchester is going to organize the following program to celebrate the 48th Victory day of Bangladesh on 16th December, 2018. 11:00 hrs- 12:30 hrs : Flag hoisting, discussion and documentation on Liberation War. Copyright 2017 The Assistant High Commission for The People’s Republic of Bangladesh.